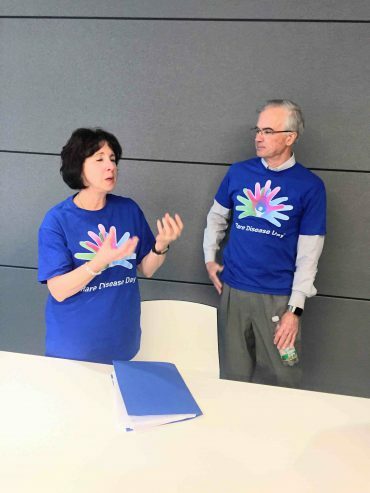 On February 28, 2018, in honor of Rare Disease Day, The Mastocytosis Society provided the employees at Deciphera Pharmaceuticals with the opportunity to hear first-hand from a patient perspective what it’s like to live with systemic mastocytosis. Janice Chiappione, a local patient living with systemic mastocytosis, visited the company and spoke to the team about her long and frustrating diagnostic journey that spanned decades. She also provided color on the myriad symptoms that she endures on an almost daily basis and her hopes for improved treatment approaches in the future. It was hard for them to imagine what it must have been like for Janice – the number of doctors she visited and tests she endured – in an attempt to get an accurate diagnosis. They were even more inspired by her dogged determination to live as normal a life as possible (finishing college, raising a family and holding down a job) while experiencing often-crippling symptoms such as extreme GI-pain, joint pain, shortness of breath, dizziness and skin rashes associated with disease flares. The Deciphera team expressed their gratitude to The Mastocytosis Society for the opportunity, and to Janice personally for sharing her story. Their CEO, Michael D. Taylor, Ph.D., told Janice that she was an inspiration to the entire company and that they will think of her often as they strive to develop therapies that may one day provide relief to patients like her. 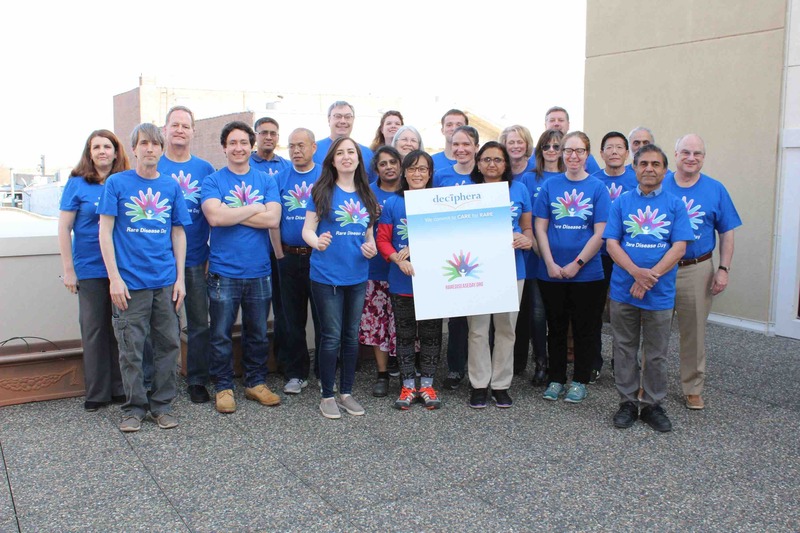 The Deciphera team for Rare Disease Day.